Ted Peters has resigned as mintmaster of the Royal Dutch Mint. It is unknown who will succeed him. It is also unknown if 2017-dated coins will be minted with a new mintmaster mark. The majority of the 2015-dated Dutch coins were minted with the mintmaster mark 'Sails' from Maarten Brouwer. After he had to resign, Kees Bruinsma became interim mintmaster of the Royal Dutch Mint in October 2015. Following tradition, an interim mintmaster at the Royal Dutch Mint is allowed to add a small thing (usually a star) to the mintmaster mark of his predecessor. Mr Bruinsma chose for a star which was added to the mintmaster mark 'Sails' of Maarten Brouwer. Late 2015 also an unknown amount of 2015-dated Dutch euro coins was minted with the mintmaster mark of Kees Bruinsma. These coins have not yet been issued and it is unknown if that will still ever happen. The 2016-dated circulating coins from the Netherlands that have been released have the mintmaster mark from Kees Bruinsma (Sails with star). He was only appointed ad interim and he resigned on November 2016. In that same month Ted Peters was appointed mintmaster of the Royal Dutch Mint. The mintmaster mark remained the one of his predecessor. In July 2017, Ted Peters resigned as general director of the Royal Dutch Mint. The Royal Dutch Mint has appointed Stephan Satijn as its new mintmaster. He won't be an interim mintmaster. His mintmastermark will be unveiled later this year but won't be used on the 2017-dated Dutch eurocoins. Mr Satijn works/worked as alderman in Venlo for the Dutch political party VVD. He holds an EMBA in Finance from Rochester University/Nyenrode University. I saw this comming from miles away but the council of Venlo has now awoken. A leftist party has asked critical questions about the appointment of Mr Satijn. This as until March 2018, he will be alderman of Venlo next to mintmaster and they fear he won't have enough time for his job at the municipality. Furthermore they see a serious conflict of interest in the fact that Mr Satijn now indirectly works for Groep Heylen (which owns the Dutch Mint). Groep Heylen is an important business partner of the municipality of Venlo as it owns a large distribution center there. 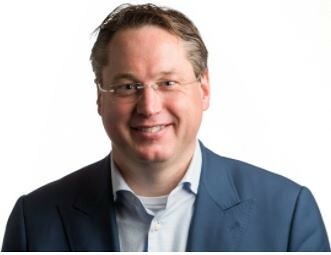 To make it even more interesting, Mr Satijn is also a key member of the steering group that maintains the industry area where Groep Heylen's distribution center is located. Not that I am suprised by this all, because what can one expect from a member of the VVD anyway. 2015 coins with sail and star were minted but never released. 2015 coins with sail and start were minted but never released. Correct and up until today nobody is willing to provide any information about these coins. Mr. Satijn's mintmaster mark has been announced (see attachment). The bridge design is inspired by St. Servaas bridge in Maastricht, which is Mr. Satijn's birthplace. The mint will offer 2017 sets with the new mark. There is no guarantee that all or any coins with a denomination of 5 cent or higher of this series will enter into circulation. Lower denominations are not circulated. A 2017 set with the new mintmark is on ebay for €150 - seems rather expensive? Thank you for that link - the 2015 sailboat plus star set is now going to be released along with the 2017 bridge set! As a collector of coin variants I am very interested in those. That tiny asterisk will make the 2015 coins much more valuable, and you can hardly see it! I have now obtained the 2015 and 2017 coins with the new mintmarks and you can see them on my website at www.eurocollection.co.uk under Netherlands, 2015, 2017 and Variants. By my calculations the asterisk on the 1c coin is about 0,2mm across but makes quite a difference to its value! Just to make the situation clear: selling the "bridge" set only together with the sails and sails* set is a form of commercialism called tying. It barely scrapes by Dutch competition law, the more so because the 1 and 2 cent are not in circulation. They can only be had when bought in packages at a considerable agio. I find this approach disgusting, even though it doesn't hinder me, as I only collect what is or was in circulation. This is the sort of shameless degradation you can expect when privatising what should be a public service. Correct indeed. The mintmastermark of the Dutch mintmaster will no longer be depicted on the coins of Luxembourg. The rampant lion is the one that can be seen on the Luxembourgish coat of arms.